Tonight at midnight Harry Potter's first last part will open in theatres worldwide. Yeah, it's freaking awesome. And taking in account the recent blue-ray HP marathon my family and I engaged, I am pretty excited about it. But to tell you the truth I believe I am not half as happy and enthusiastic as those million (or billion) and a half readers out there who faithfully followed the HP saga through written pages. I just waited for the movies, -which are nice and cool and very creative- and that's as much information (and a couple of random Wikipedia searches) I have on this series. I know, I am lame, blame my interest in other epic sagas: the forensic anthropologist Tempe by Kathy Reichs, or the one and only Lestat and all the world Anne Rice created in 5+ books before seeking other kinds of inspiration and focusing on the Bible and Jesus.... no vampires over there, oh well... Gabriel Garcia Marquez, a very famous Colombian writer has this very very famous book: 100 years of solitude. People say is fantastic, he even won a Nobel Prize for this one! Wow, that means it must be awesome. Yes, another one I haven't read! Why you ask? well I really don't have any explanation, and frankly I don't want to read it. At this point in my life I fell a bit tired about reading of "costumbrismo" or everyday historic life of rural places. Yes, I sound a bit shallow. But I'm not just into it. There, I said it. So going back to all the cool books people where reading while I was -er- I dunno, reading or watching something else? I sometimes feel I am part of a group that haven't read important stuff. And by important I say really important. I consider myself a news junkie. I check Google News +10 times a day and have been downloading more apps for news on a monthly basis. I even signed up on twitter just to follow minute by minute things that happen. All this information comes and goes as daily events just happen. But to be honest, I can describe with detail what kind of food does Tempe likes and Lestat's joy of music. I can't tell you what was the name of the new elected leader of Myanmar or what party he-she represent (yikes) I can't even tell the gender, and all this was all over the news last week. I am that forgetful. 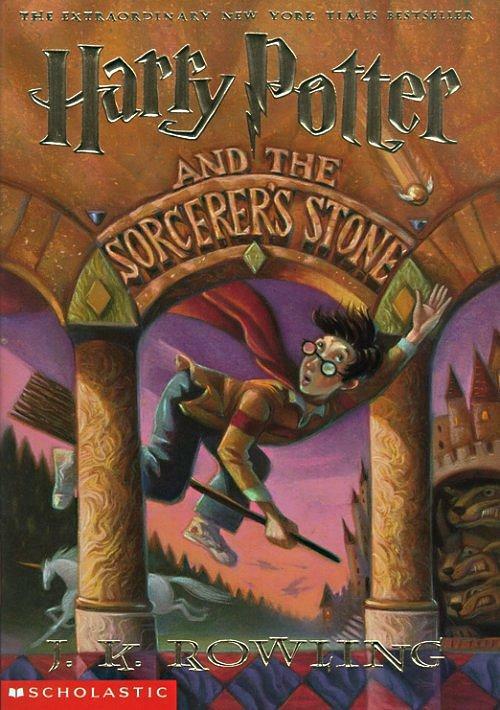 Going back to Harry Potter, well, I have made my mind and thanks to let's say, all the enthusiasm my sis describes on this, I have her copy of HP's Philosophers Stone in my hands. One less thing to worry about!